Thank you for joining us for Dr. Weitzenberg’s presentation. We had over 500 MDs and staff attend. Don’t forget to Set your goal and Stay Motivated! We all know it’s important to be physically active. But have you ever wondered just how important? 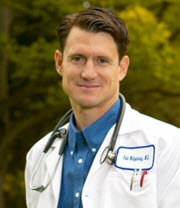 Dr. Weitzenberg is a Sports Medicine physician at Santa Rosa Medical Center and is the chief and developer of KP Santa Rosa’s Sports Medicine program. A competitive cyclist and lifelong athlete, he believes that exercise is the best medicine. Show Our Shoes	What is the Best Gift you can Give?